David Goitía was an insatiable painter, a master in tracing, a great illustrator and a friend to all. Most of his graphic work was designing for the Tourism Department. 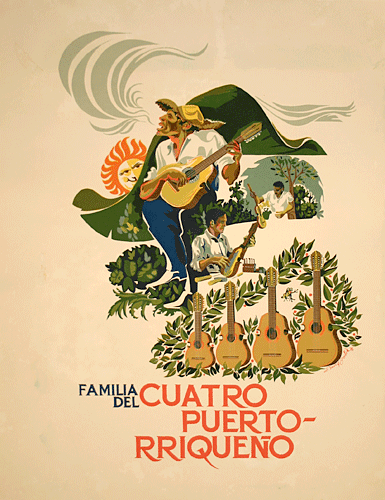 His main focus was Taino themes and Puerto Rican folklore. His exhibits were seen in the best galleries in the country, and many of the students in his workshop are some of the best artists that Puerto Rico has today. Of the 316 posters in the collection, 5 are by David Goitía.